Knowing when to change the air filter of your machine is very critical. Replacing air filters too soon, increases maintenance cost. While replacing an air filter too late, reduces airflow and engine performance. Visual Inspection of an air filter is not a satisfactory way of determining when a filter needs replacing. An air filter change indicator is the most reliable way to determine when an air filter needs replacing. 2. Reduce maintenance cost by avoiding unnecessary filter changes. 3. 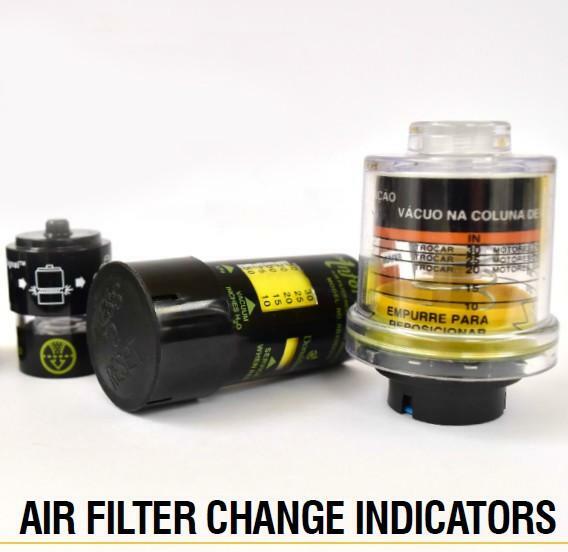 Helps in managing maintenance intervals by Indicating the remaining life of the filter. 4. Improve engine performance by indicating when a filter change is required.